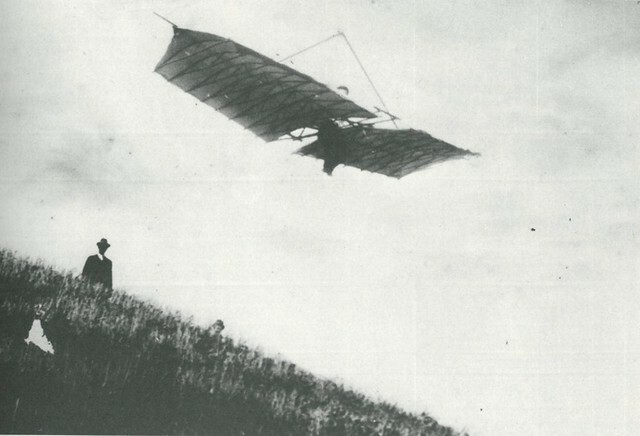 Mohawk Aerial Navigation Company, Ltd.
spawned from excitement over the flying man Otto Lilienthal. Man-carrying flex-wing kite and hang gliders .... efforts made; membership grew at $2 per head, but waned. I nominate Steinmetz as historical member of US Hawks chapter Mo Hawks. is invited by anyone finding information and photographs, etc. [ ]The wiki is yet poor for not yet showing Steinmetz's involvement in matter of Mohawk Aerial Navigation Company, Ltd. There is a connection with another part of hang glider history...tenuous. In Breslau a gliding club reached our cable-stayed triangle control frame with pilot hung from keel on hang glider. 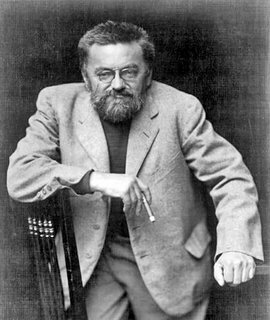 Steinmetz went to University of Breslau before he came to United States. Mohawk Aerial Navigation Company Glider. 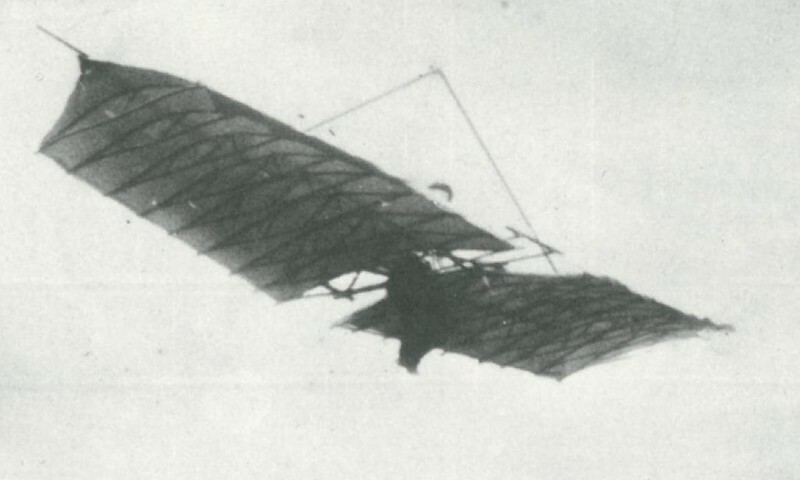 One of the gliders built by Charles Proteus Steinmetz - the “Wizard of Schenectady” - and others in 1894. Steinmetz is not well known today but he accomplished a great deal in his lifetime considering he had dwarfism, was hunchback, and had hip dysplasia. While working for General Electric at Schenectady, N.Y., Steinmetz organized a band of fellow flying machine enthusiasts into the Mohawk Aerial Navigation Company, and over the summer of 1894 built and tested a man-carrying kite and two true gliders. None were particularly successful. Digital image: Schenectady Museum & Suits-Bueche Planetarium. Mohawk River Aerial Navigation, Transportation, and Exploration Company, Unlimited, was the construction of air-gliders. E. J. Berg opined that the club did not quite get the construction of the gliders correct for wanted flight. Description:	xi, 489 p.,  p. plates : ill., ports., 24 cm. Responsibility:	by John Winthrop Hammond. Wizard of Schenectady, forger of thunderbolts.. I'll send my $2, to that defunct Mohawk Gliding club and Charles is certainly welcome in mine. Thanks for more great info, Joe. 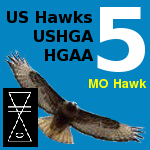 JoeF wrote: I nominate Steinmetz as historical member of US Hawks chapter Mo Hawks. By the way, that brings up a good point. There was an early topic here titled "Missouri Mo Hawks" at this address: http://ushawks.org/forum/viewtopic.php?f=20&t=189. I think we had two members signed up (Warren and myself). On December 3rd, 2010, Warren specifically suggested reserving member number 5 for some strange reason. On December 3, 2010, Free wrote: All numbers except #1 (and possibly #5) are open. So in addition to seconding the nomination of Charles Proteus Steinmetz (the “Wizard of Schenectady”), I make the motion that Warren update the "Missouri Mo Hawks" topic to show all of the current members and their member numbers. I further make the motion that the honorable Joe Faust be granted member number 5 in accordance with Warren's clearly respectful intentions. This US Hawks member keeps showing up! "Following the Gymnasium, Steinmetz went on to the University of Breslau to "
Some research needs to be done: Did he know W. Simon who exampled battened flex-wing with cable-stayed triangle control frame with pilot hung from keel ... in Breslau in 1908 ???? Description Charles Steinmetz photographs an experimental glider flight. Rights This digital image may be used for educational uses. Please cite as Schenectady Museum & Suits-Bueche Planetarium. Prior written permission is required for any other use of the images from the Schenectady Museum & Suits-Bueche Planetarium. Armstrong of the company had some "jumps". Steinmetz did not fly, but was of core importance to the company and the experiments. Author historian Crouch does not dignify the jumps as "flight" but I do: very very very short flights. CAUTION: IMAGE IS NOT OF A REAL FLIGHT. Notice the hill and the man on the hill with hat; such part became part of a retouched photo of a fake flight, see prior post also. Last edited by JoeF on Sat Feb 11, 2017 10:18 am, edited 1 time in total. Mohawk River Aerial Navigation, Transportation, and Exploration Company, Unlimited. The matter of names could be a research project for someone. America's first glider club, by Charles r. Steinmetz. Steinmetz, Charles P. America's first glider club. The Sportsman Pilot, Vol. 4, No. 4 (Dec. 1930), New York, pp. 26-27, 46, ill.